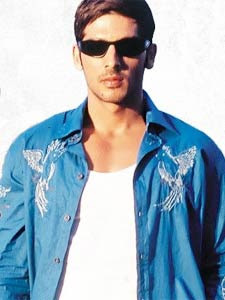 Actor Zayed Khan, whose last film Yuvvraaj turned out to be a box office dud, says he continues to be a fan of Subhash Ghai. "Subhash Ghai is like an institution in himself. On a day-to-day basis, I was very comfortable with the idea of working with him. With Subhash-ji, when I used to come to the sets, he used to instantaneously remind me who I am - as in my character." "I guess people have their own ways of getting your performance out. Some push you against the wall to see your true colours, some people just let you go. Subhash-ji is the kind who sees the situation and handles the actor accordingly," he added. Zayed said it is easier for an actor to get into the skin of a character if his director is clear about what he wants to portray. "There are a lot of directors who really need the assistance of an actor and they need the actor to come up with something good all the time. Considering that we do two to three films a year, it becomes very hard to be navigated and come back to a scene that you left off a month ago. But if a director is very clear about his characters, the actor feels liberated." For Zayed, Subhash Ghai, who directed him in Yuvvraaj is a fine example of the latter.